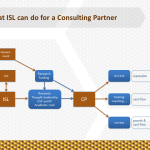 Our practical tools diagnose and help remedy organisational problems. All our tools are designed to communicate complex information in a highly efficient and accessible manner. The Sustainable Leadership Pyramid provides guidance for managers and practitioners in ensuring that they adopt practices that demonstrably benefit their firm’s performance and resilience. The Sustainable Leadership Questionnaire can be used to assess your organisation on each of the 23 leadership practices outlined in the SLP. For a more detailed explanation of how the SLP works, contact us or view our presentation Anglo countries’ perilous addiction to ideology. 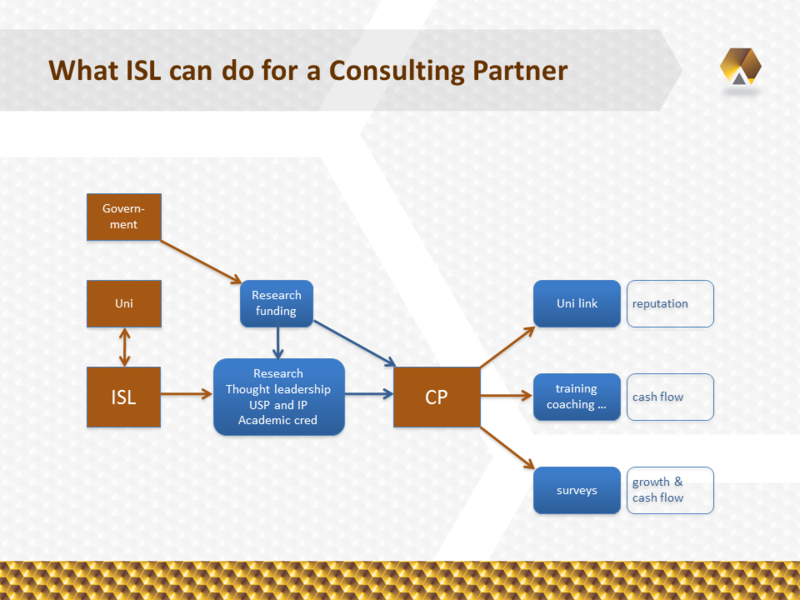 See this image for what ISL can do for you as a Consulting Partner.